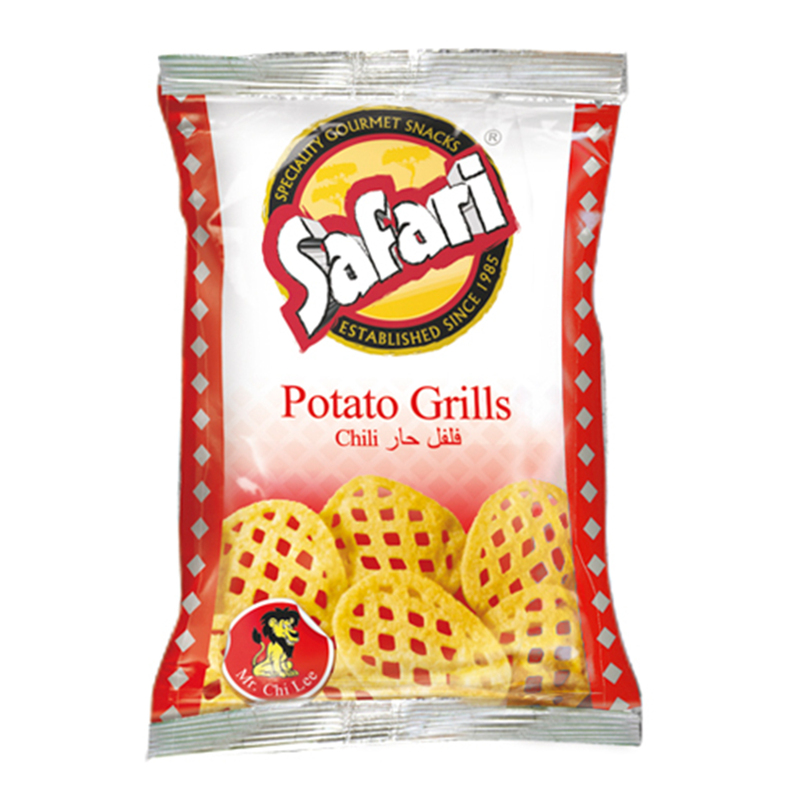 Hunter Foods’ latticed “Safari Chips”have been such a part of growing up for the kids in the 80s and 90s of Dubai! They are “THE” go-to chips for the kids and many adults! Sometimes, all we need to say is “ Do you know the Safari Chips?” and people would literally lit up, and say/scream/shout “Yes, of course!” We have been making them for the last 30 years, and such a part of our growing up, too! Today, people, young or young-at-heart, still hold these chips close to their hearts and to their mouth! They are just as crunchy, tasty, satisfying and be-loved as ever! Salty the Elephant would be the first to trumpet praise for this childhood classic. 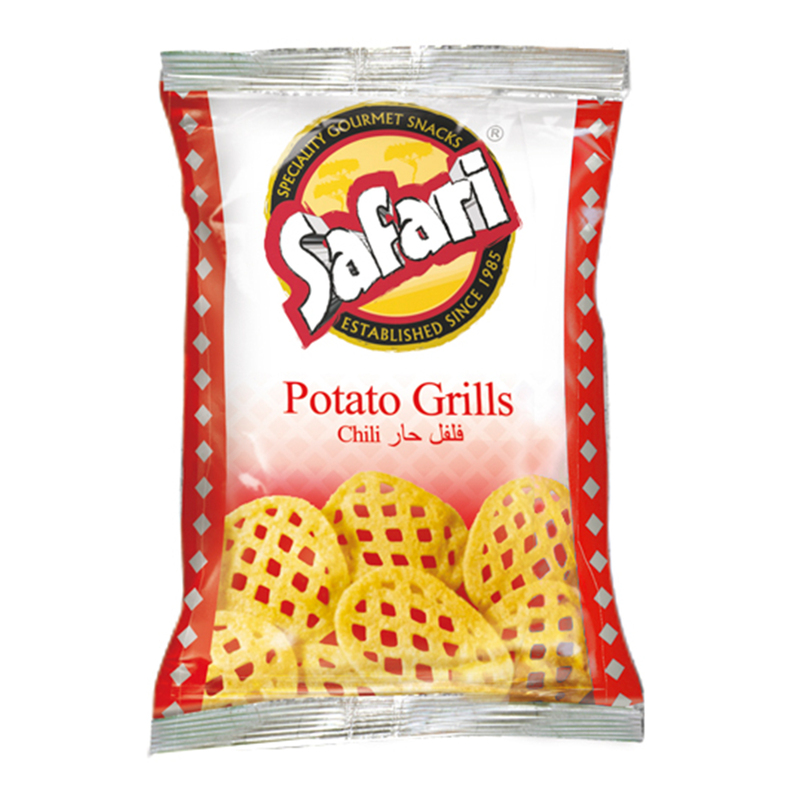 Safari Potato Grills Salty are deliciously crunchy and the perfect accompaniment to any lunch box. 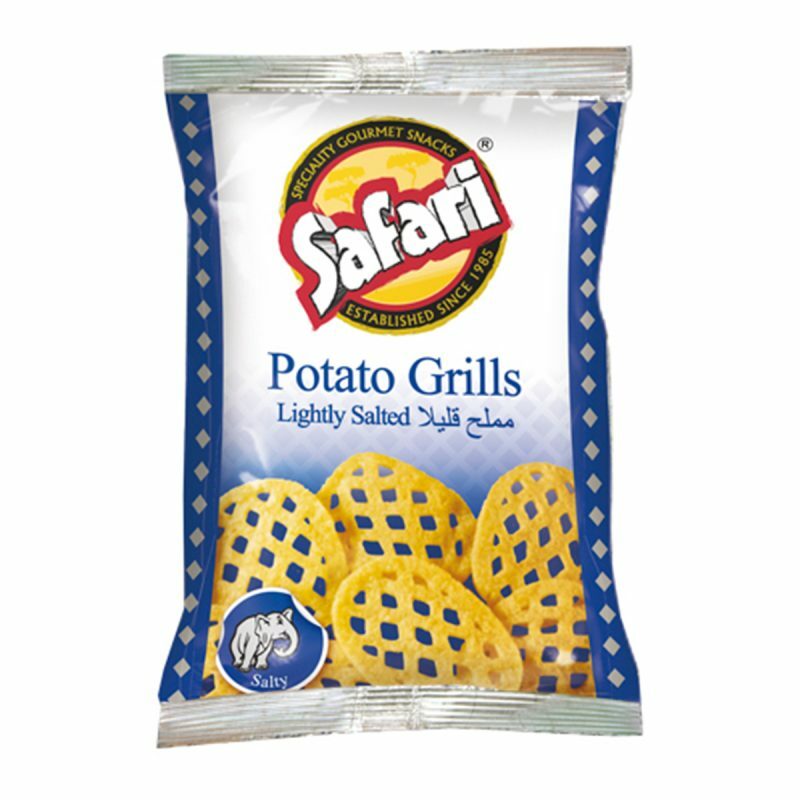 Safari Safari Potato Grills – Lightly Salted (20gm) 20gm Packet. Potato Snacks, Gluten free, MSG Free, Non GMO, No Preservatives, No Artificial Flavours, No Artificial Colours, Vegan, No Transfat, No Cholesterol, Halal. Potato powder, rice flour, modified starch (potato), starch (potato), sugar, salt, hydrolyzed soya protein, emulsifier (soya lecithin’s), spice (turmeric), palm olein oil. They look a bit like a garden trellis, or the top of a traditional mince pie, and they melt like a dream.